The brown-headed cowbird is a small songbird that belongs to the icterid family of passerines. They are native to temperate, and subtropical North America and their range extends from Canada to Mexico. 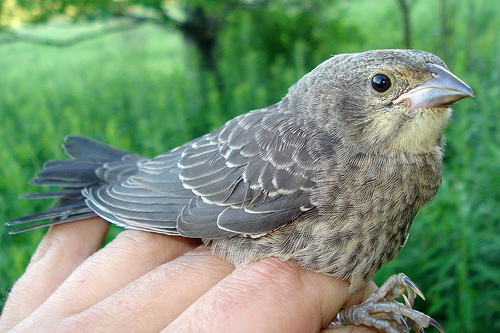 The birds living in the southern parts of North America are permanent residents. However, the birds that inhabit the northern parts of the Western Hemisphere migrate to the southern parts of the United States and Mexico during winter and return to their original dwelling places in March or April. Size Male: Length -7-8 inches, Wingspan-14 inches; Female: 6-8 inches, Wingspan- 13-15 inches. Weight Male- 1.5 -1.8 oz, Female-1.3-1.6 oz. Color Male- Glossy black feathers, head is brownFemale- Plain brown feathers, head and underparts are light brown, the belly has fine streaks. Habitat Woodland, grassland, deciduous forests, suburban gardens, forest peripheries, farmlands. Lifespan Longest Lifespan- 16.9 years. 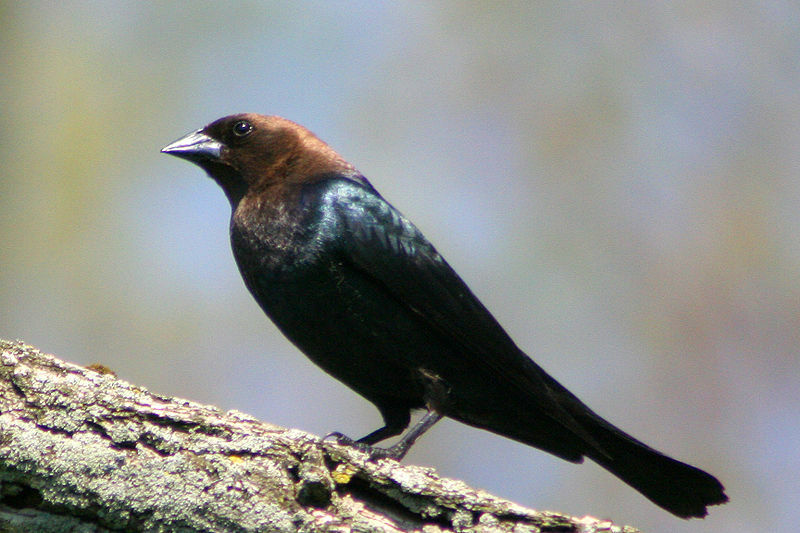 Brown-headed cowbirds like to feed with groups of other small birds like blackbirds and starlings. Males are very eloquent and expressive; they assemble on lawns to display their plumage and perform antics for attracting the females. These birds make a lot of noises and this includes a mixture of whistles, clicks and gurgles. During winter, these small birds may join roosts with other blackbird species and form mixed roosts that contain millions of birds. 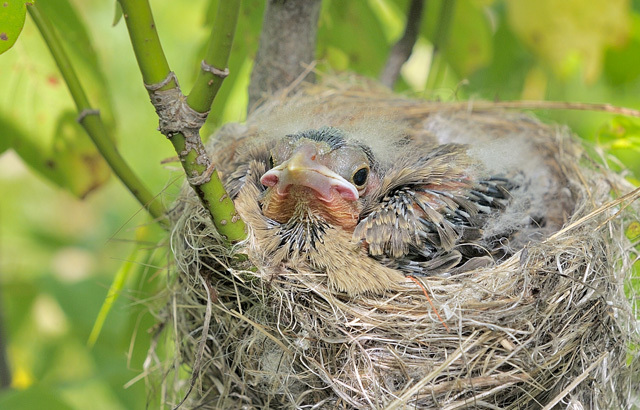 These birds are brood parasites and the females of this species specialize in laying their eggs in the nests of other birds that serve as the hosts to their eggs. They are quite clandestine and are always on the search of nests where they can deposit their eggs. The most common host species are yellow warblers, red-eyed vireos, eastern phoebes, ovenbirds, song sparrows, chipping sparrows, eastern towhees, and common yellowthroats. However, they parasitize more than 100 species as hosts. The males take part in specific courtship rituals where they fluff their feathers, spread their wings and bow to the females. Their clamorous songs also play a vital role in attracting mates. 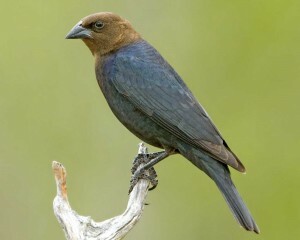 Cowbirds are mostly monogamous, and the males guard their females from other males. On the other hand, females have a tendency to mate outside of the bonded pair. 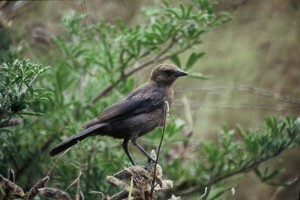 Once the female cowbird finds a suitable nest, she starts preparing for laying her eggs. Generally, only one egg is laid per nest, but the bird may choose to lay two depending on the host. On the day of egg laying (or one day prior to it), the female tosses out one egg from the host’s nest. She may also eat the egg for extra nutrition. Then before the host bird can realize that one egg is missing, the cowbird replaces it with her own egg. However, if there is only one egg in the nest, she does not remove it as that can make the hosts abandon their nest, leaving the cowbird to find another host. 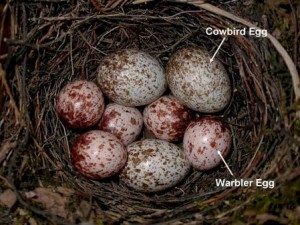 The eggs of brown-headed cowbirds have a short incubation period, and they hatch within 10 or 12 days. 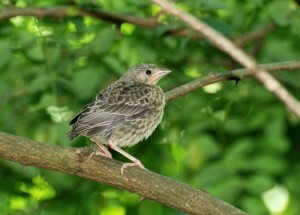 The young cowbirds have a competitive advantage over others as they grow very rapidly and get a head start ahead of other chicks in the nest. 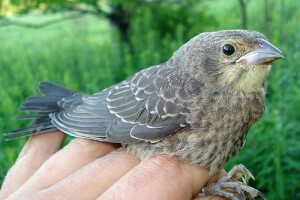 They are capable of leaving the nest in 8 to 13 days; however, they are still dependent on the hosts till they turn 25 to 39 days old. The hatchlings do not get any exposure to visual and auditory information that is typical of their species as they do not get a chance to interact with their biological parents. In spite of getting no training from their parents, these birds develop typical singing, social and breeding behaviors that are characteristic to them. Ornithologists consider female brown-headed cowbirds to be “passerine chickens” due to the extremely short interval between clutches and the lack of physiological demarcation between them. They show no regression of ovaries and oviducts after completion of their clutch, which enables them to lay so large a number of eggs that double up their total population within a short time, even though only about 3 percent of the hatchlings reach adulthood. Their eggs hatch before those of the hosts with the baby birds being well-adapted to parasitize their hosts, having louder calls than the nestlings of the host. Cowbird chicks do not consider their foster parents to be individuals but respond positively to all members of their species that improves their chances of survival. They get their name cowbird from the fact that they follow cattle and feed on insects that are kicked up by their hooves; this has given rise to a symbiotic relation between the two. 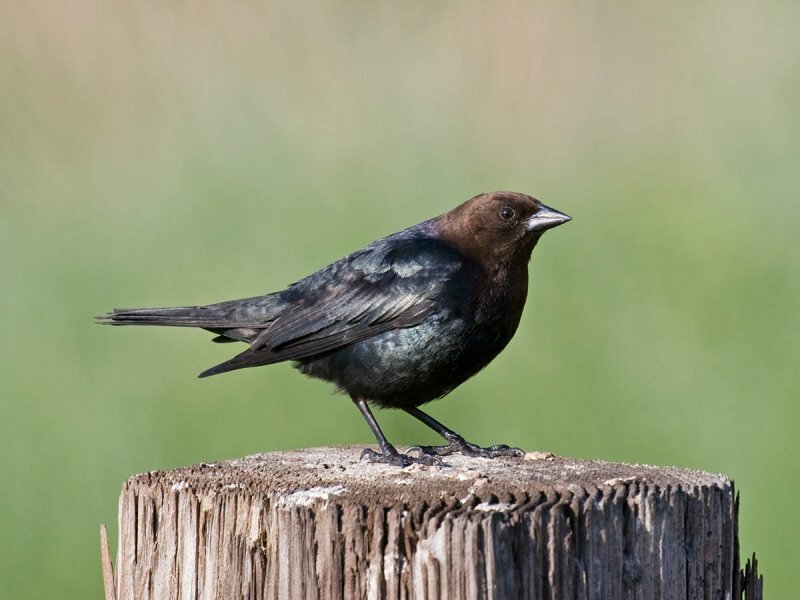 Earlier, cowbirds used to follow bison herds; however they have adapted themselves to domestic livestock and have practiced brood parasitism wherever they have gone, with the result of having spread all across North America. Yellow warblers have the ability to recognize cowbird eggs; however, they are too small to throw the parasitic eggs out of their nests. They try to solve the problem by building a new nest over the old one. 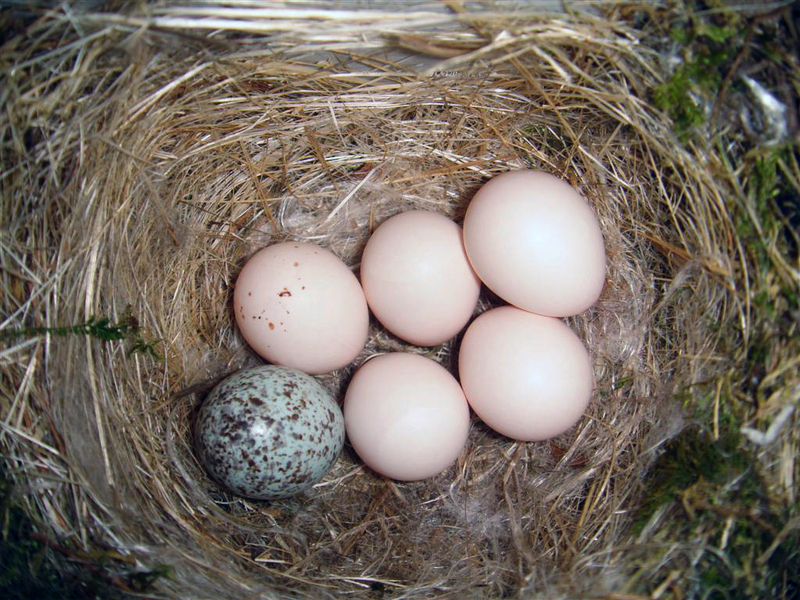 Larger species have the capacity to hold and throw cowbird eggs out of the nest. 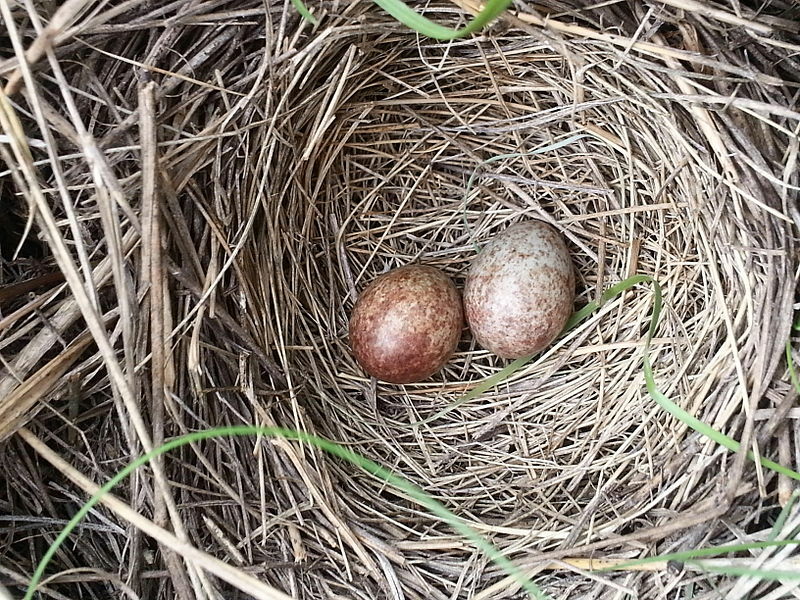 However, for the most part, a majority of hosts don’t recognize the cowbird eggs at all. 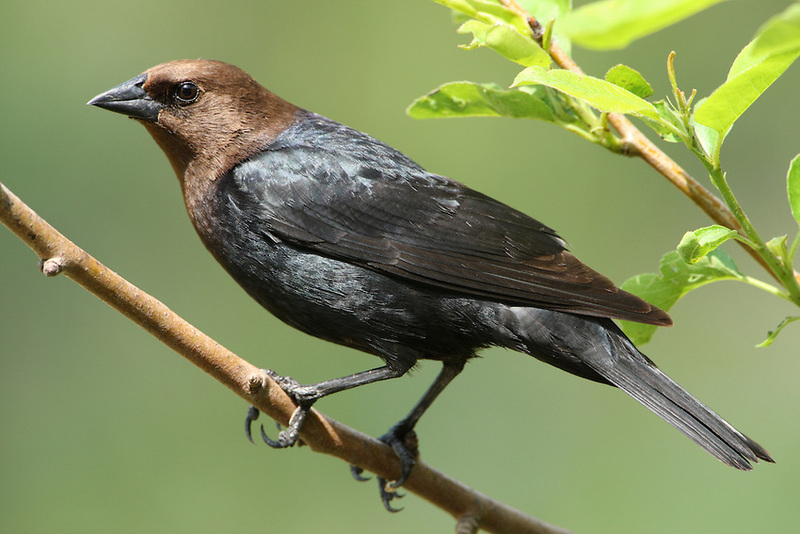 Sometimes, female cowbirds feed their own babies in the parasitized nest and peck the other hatchlings of the host on their heads while they beg for food. 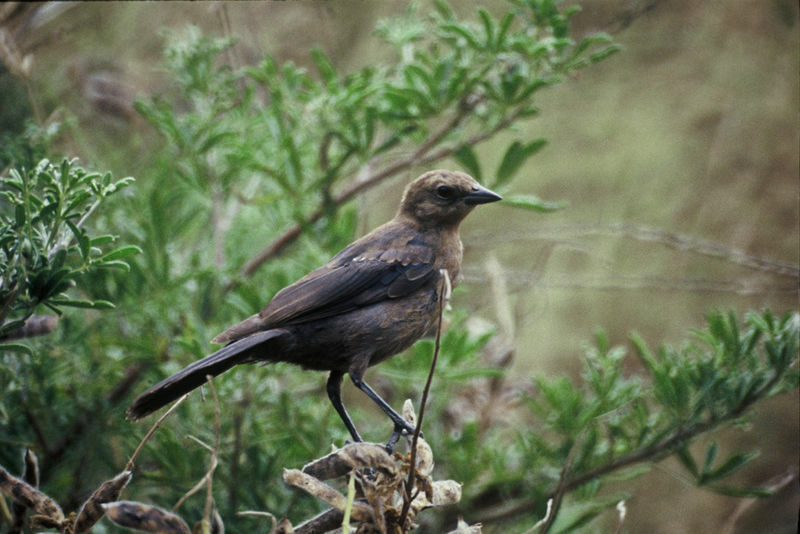 Female cowbirds may even kill the hatchlings of their hosts if their egg is rejected – a characteristic addressed “mafia behavior” by experts. Published on July 28th 2015 by admin under Coniferous Forest Animals.